I think that you pretty well sum it up - Great Service, Excellent Quality, Quick Delivery! Nuff said. 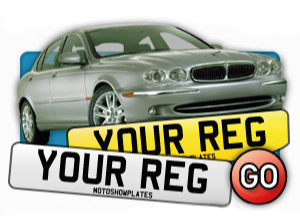 Good morning, ur web site was very easy to use and the fact you can see ur plate before you buy is great.... The service that you provided was fantastic, letting me know by email the plate was being made then also posted to me..
A great job guy's and I thank you. Your service and your products are very good and the best that I have used and found on the Internet by far. I am absolutely 100% satisfied with the product and service I have received. 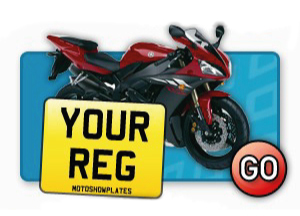 The plate was a good price, its a good quality and it came a lot quicker than I expected. It is now mounted proudly on the back of my bike. I would definitely recommend you to my friends and if I need anymore plates then I will be more than happy to use you again. Very satisfied with the product. An excellent, fast and efficient service, ordered and delivered within 24 hours. I would like to thank you for my order. You're service was very efficient and professional, postage was very quick and the item is very good quality. I response to your email regarding feedback I would just like to say that everything from ordering to delivery was excellent. 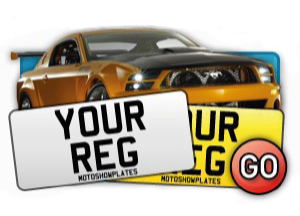 Your website is well laid out and easy to design a plate just the way you want it and the ordering process was simple, straightforward and fast. The plate is of top quality and looks exactly as I expected it and finally the delivery time was better than I had expected. 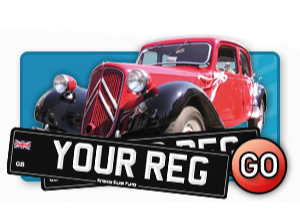 Both I and my wife have used your company several times in the past for the supply of number plates. Each time I have been impressed with the overall service from your company, easy to use website, quick delivery and the products are first class. Thank you for the quality plate for my motorcycle. The service provided was excellent and I would certainly recommend to anyone. If I need another one you guys will be my first port of call. Thanks for the great service. The plates arrived within two days and were exactly what I had ordered. They even make the car look newer!. Thanks. When my plate arrived on time as promised it looked exactly like it did on line!!! I would definately reccomend you to my friends. Needed to replace a cracked number plate, ordered on the Monday and arrived on the Tuesday. Great service, was one of the only companies where I could just order the front plate I needed. Highly recommended. 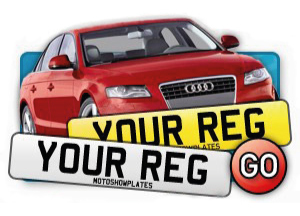 Yes, I was very impressed with the quality of the plate, the ease or specifying and ordering on your website and the fast delivery. A very pleasant and easy buying experience which I will recommended to others! As usual, the service and quality were superb. I am more than happy with the product and service. very efficient and highly recommended. Very satisfied with the whole online ordering process of the plates and very happy with the finished product.